Construction on Galaxy's Edge, the upcoming Star Wars themed land at Disney Parks, has been well underway for many months now. Recently, massive steel structures have begun to take shape over the acres of dirt that currently occupies the area where the attraction will sit. The Disneyland construction site specifically has just hit a major milestone that puts it that much closer to completion. 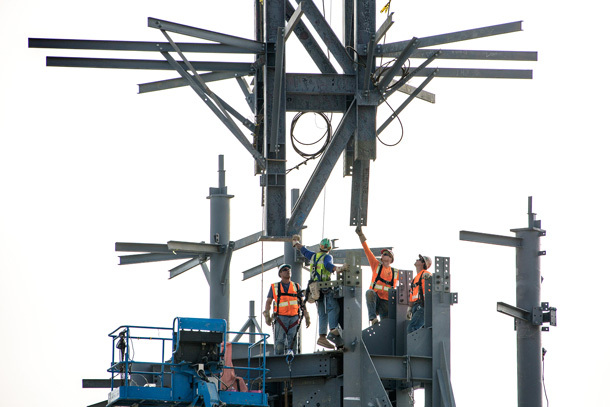 The Disney Parks Blog reports that a large piece of steel, which will ultimately become the park's tallest peak when completed, has been lowered into place. The structure stands at 130 feet above the 14-acre area, which is slated to open in 2019. 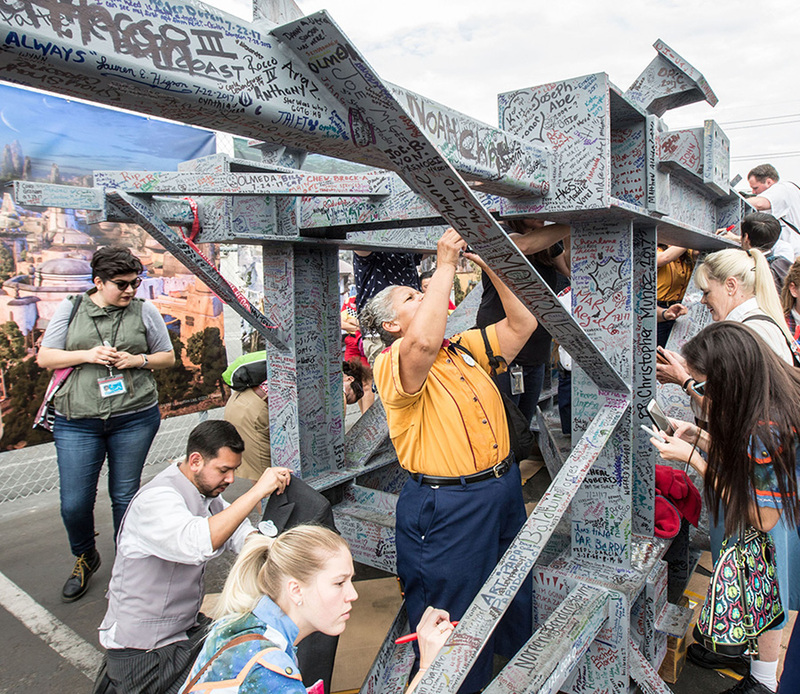 It's been incredibly exciting to see the construction take shape at both Walt Disney World and Disneyland, and it will be increasingly interesting to see what develops between now and 2019.